Four times a year, on the Solstices and Equinoxes, Manitou members and friends gather to mark the passage of the seasons and celebrate the special magic of the land at that time of year. At the Winter Solstice, we gather around the warmth of the wood stove in the Hogan to enter into the rich darkness with poetry, song, ritual and our now legendary “Fire eating” ceremony of the flaming raisins. 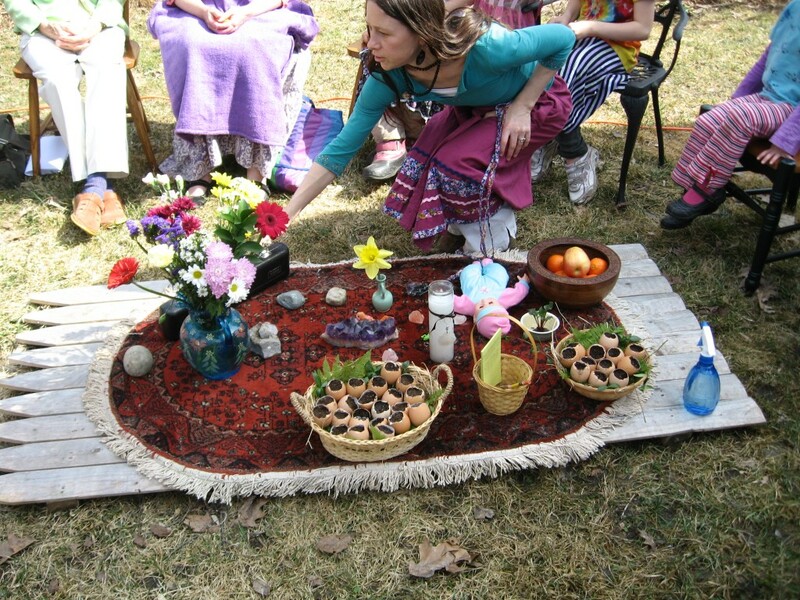 At the Spring Equinox, we often avoid the back roads of mud season by gathering at Healing Gate center in Brattleboro, to celebrate the arrival of spring with flowers, music and dance. The Summer Solstice has been one of our favorite celebrations, marking the return to the land after the long dormancy of winter and spring, with various activities that may include circle dance, quiet time on the land, and the practice of Qigong Animal Frolics, an ancient movement practice that takes its inspiration from the movements of the animals. And the Fall Equinox brings us together to honor the movement into Autumn with poetry, ritual and group sharing. Join us for one or more of these, to experience the magic of “Community with Nature” with the arrival of each new season.